Casino lovers may recognize this machine. “Double Diamond” slots has long been a favorite slot in the brick and mortar casinos and has now become an equally popular online slot machine. Originally by IGT this game is now available online at WagerWorks Casinos. This game offers players the chance to win up to twenty five hundred coins and denominations range from twenty-five cents to five dollars, creating the chance for some truly large payouts. “Double Diamond” slots uses a number of different traditional symbols, such as cherries, red sevens, and single, double, and triple bars. The game also has the “Double Diamond” symbol after which it was named. With a twenty five hundred coin jackpot and a maximum bet of three coins, this machine offers players the chance for some tremendous winnings. There is only one payline offered in “Double Diamond” slots, but the generous payouts more than make up for that. The payline is clearly marked, and symbols must land on the line directly in order to count as part of a winning combination. This game does not have an autoplay feature, but the reels move at a pace that offers much enjoyment for players. There are many payouts to be discovered within “Double Diamond” slots. The “Double Diamond” logo is the highest paying symbol, offering eight hundred coins when three appear on the payline on a single coin bet. This amount doubles to sixteen hundred coins when the bet is raised to two coins, and becomes twenty five hundred coins when the three coin maximum is bet. 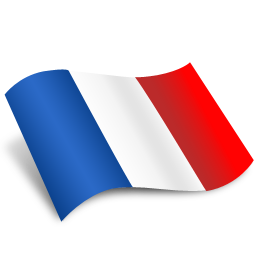 This symbol is also wild, and doubles the value of any winning combination that it is part of. If two double diamond symbols are part of a winning combination, the value of that combination is quadrupled. Three red seven symbols pay eighty coins on a single coin bet, one hundred sixty on a two coin bet, and two hundred forty on the maximum bet of three coins. Forty coins are awarded for three triple bar symbols on a one coin bet, with the prize rising to eight on a two coin bet and one hundred twenty on the three coin bet. Three double bar symbols pay twenty-five coins on a single coin bet, fifty on a two coin bet, and seventy-five on a three coin bet. When a player gets three single bar symbols on a single coin bet, ten coins are awarded, while two coins pay twenty and three coins pay thirty. The same payouts are awarded whenever a player gets three cherry symbols on the reels. Three bars of any type award five coins for a single coin bet, ten for a two coin bet, and fifteen for a three coin bet. The same payouts are given when a player gets two cherry symbols on the reels. A single cherry pays two coins on a one coin bet, four on a two coin bet, and six on a three coin bet. 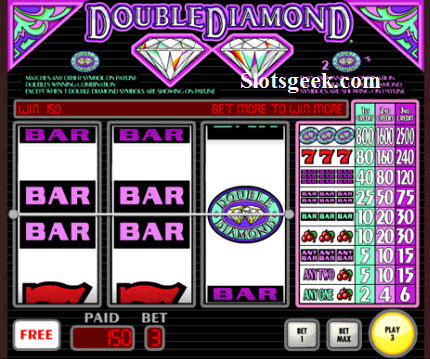 “Double Diamond” slots is an excellent game with many payouts, which is why it was popular enough to be one of the first physical machines moved into online casinos.